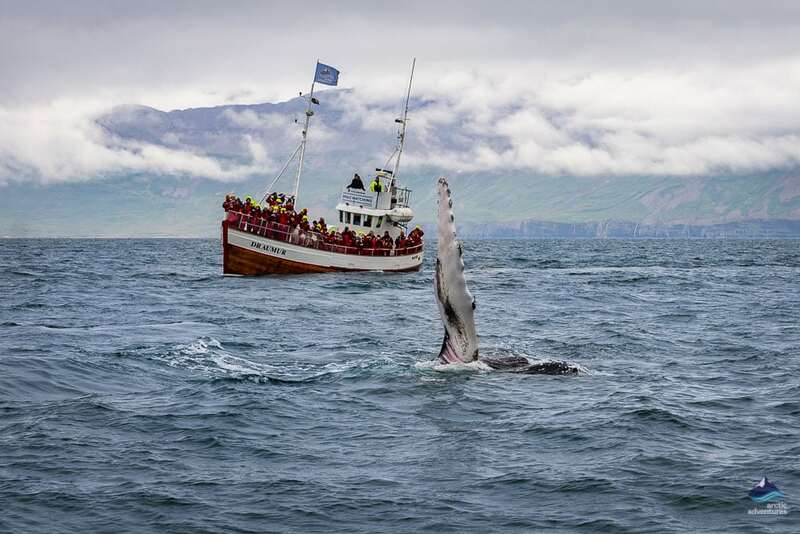 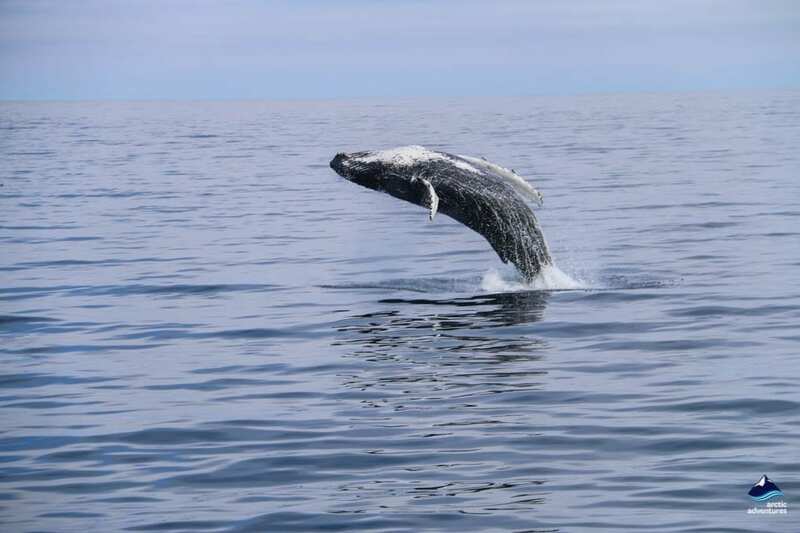 On the whale watching tour from Dalvík you have the best chance to see many of the whales around Iceland like the great humpback whale, minke whale and the majestic blue whale. 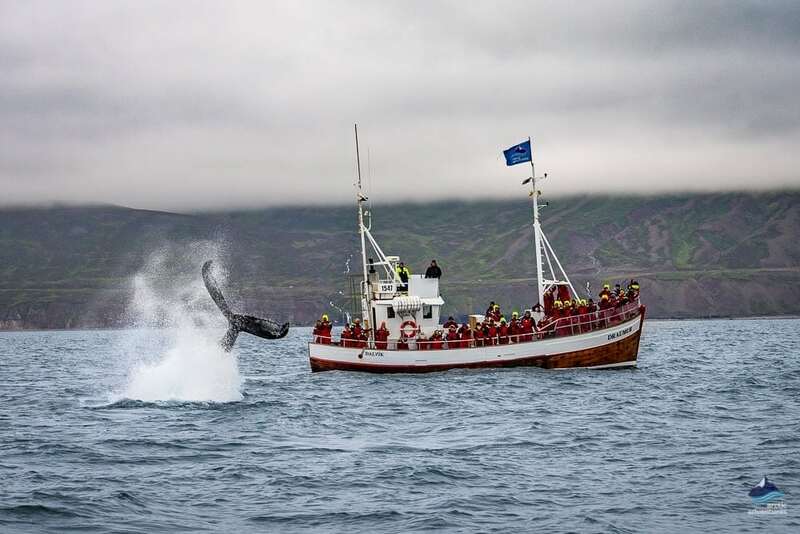 You will try out sea angling and end the trip by enjoying freshly caught fish Icelandic BBQ-style. 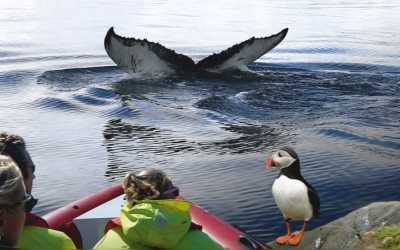 A great tour for the family and for those who have ‘seeing a giant whale’ on their bucket list! 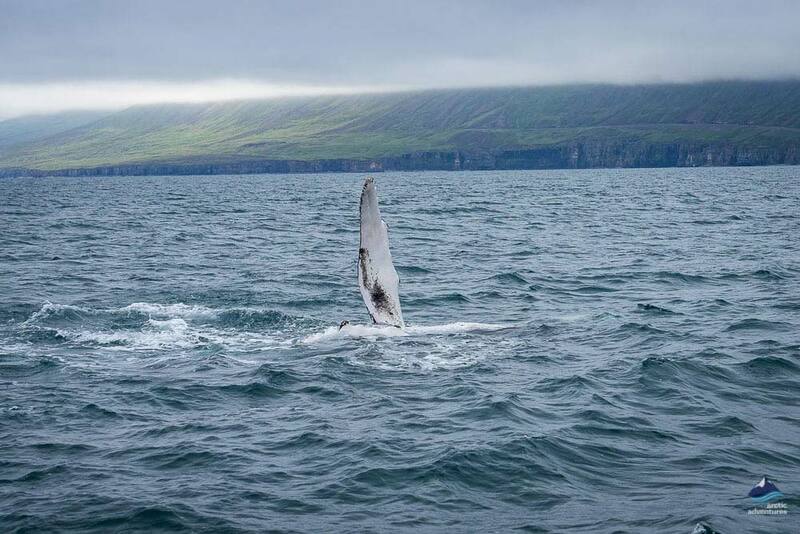 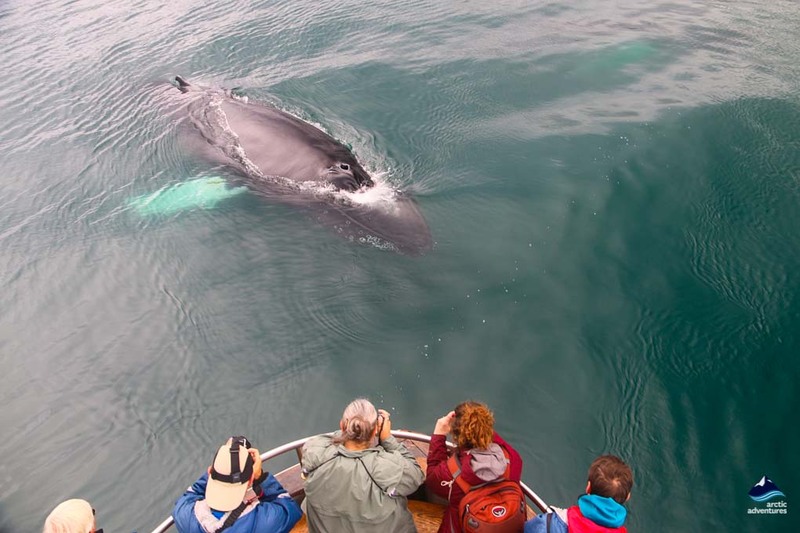 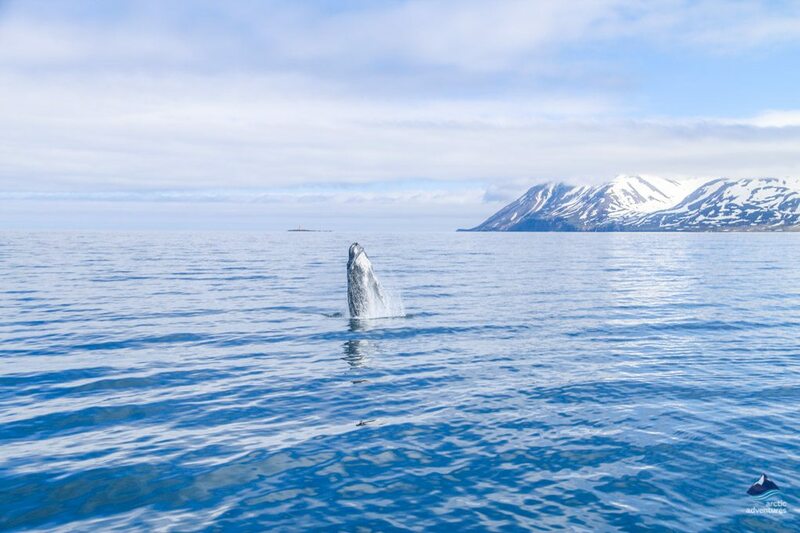 In Dalvík, you have an exceptionally good chance to encounter the great humpback whale and often we spot white-beaked dolphins, minke whales, the small harbour porpoises and sometimes if you are very lucky… the majestic blue whale. 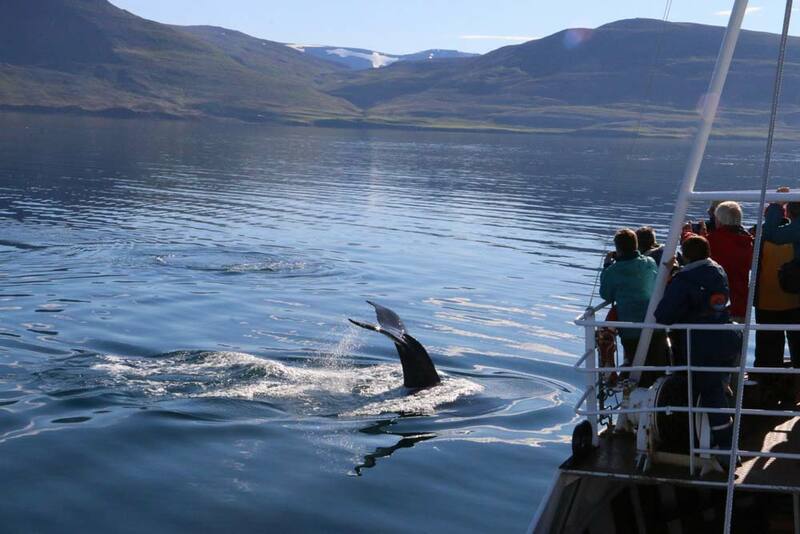 Overall we have seen whales or dolphins in 98% of our tours. 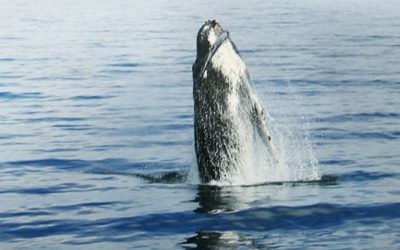 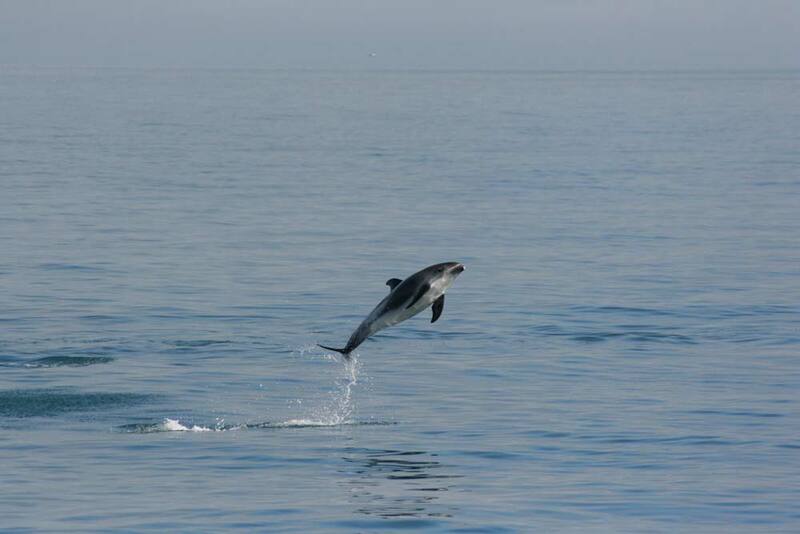 Humpback whales in 93-96% minke whales in 30-35%,white-beaked dolphins in 30-50%, harbor porpoises in 30-50% and blue whales in 2-5% of the tours. 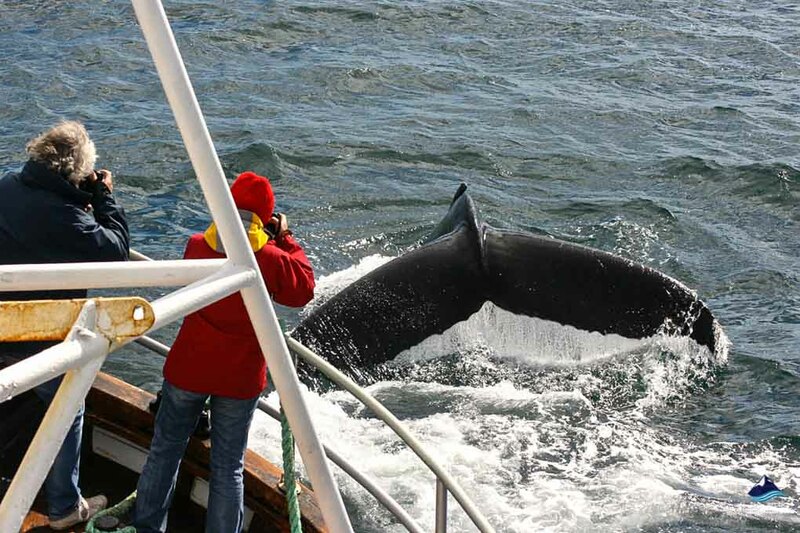 On the very rare occasion we do not see any whales, we will offer you the chance to revisit the tour. 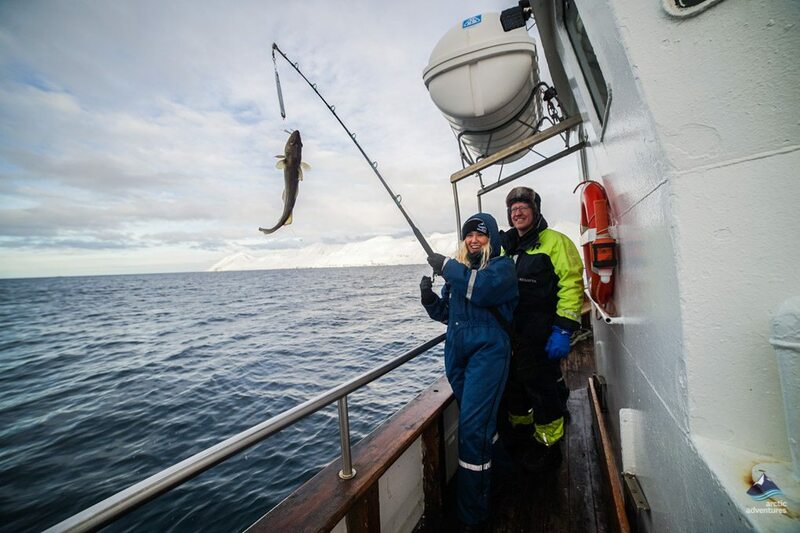 Try your hand at sea angling and leave Iceland like a true fisherman. 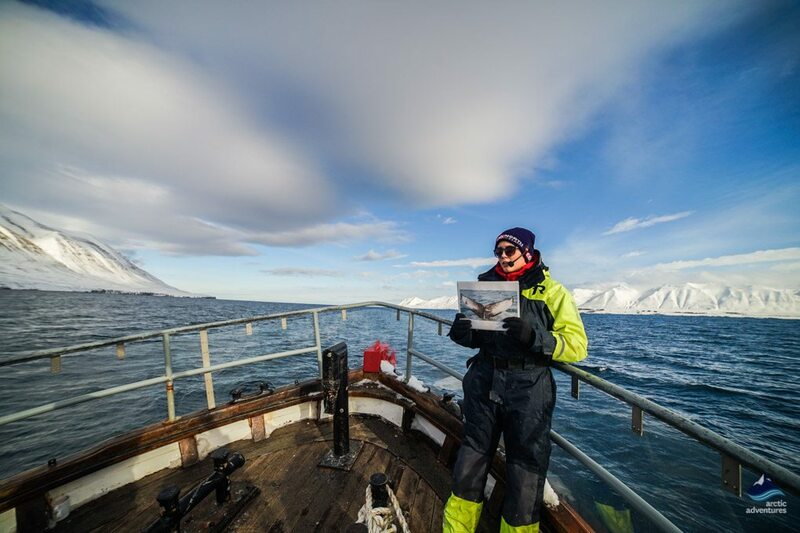 No experience is required, we will teach you all the tricks and what better way to enjoy the fresh Arctic air. 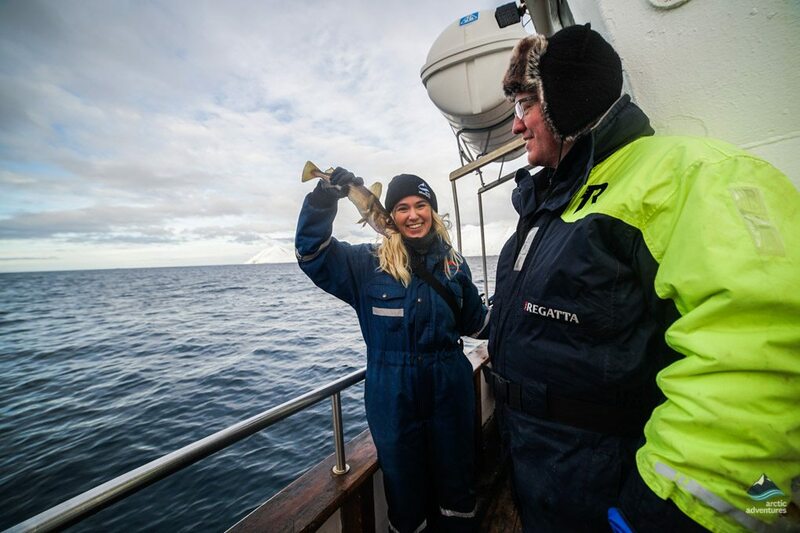 What an amazing way to finish your trip than enjoying freshly caught fish straight from the ocean. 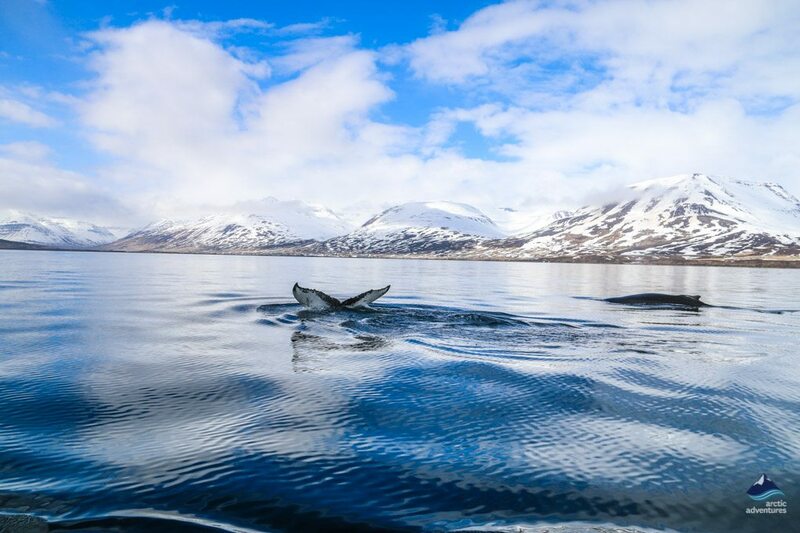 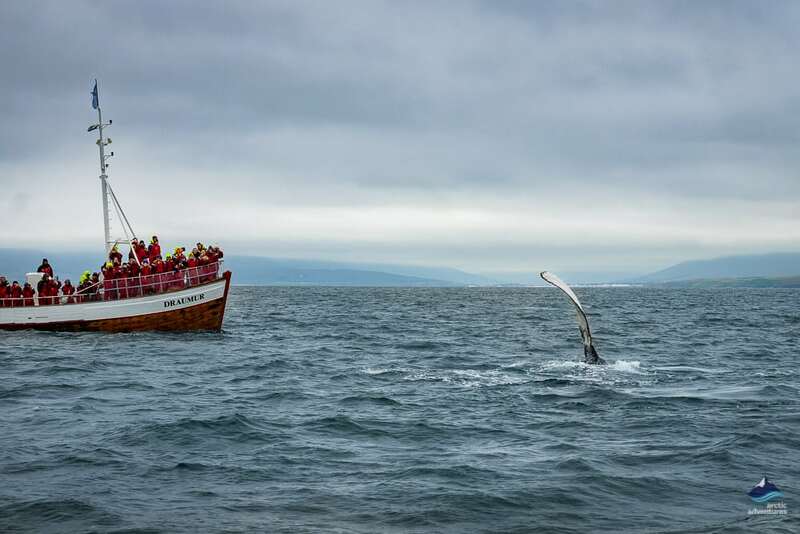 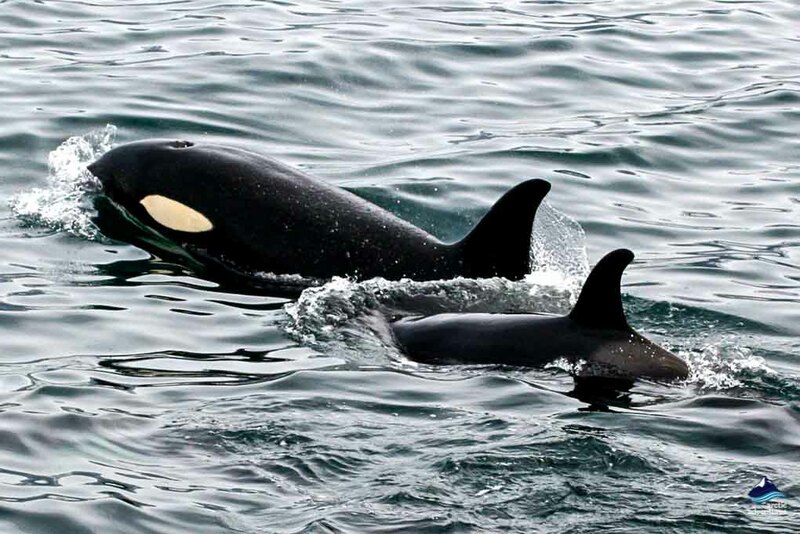 Whale watching from Dalvik is operated in smaller groups than normally in Iceland, which gives you the opportunity to enjoy the whale watching tour to it’s fullest. 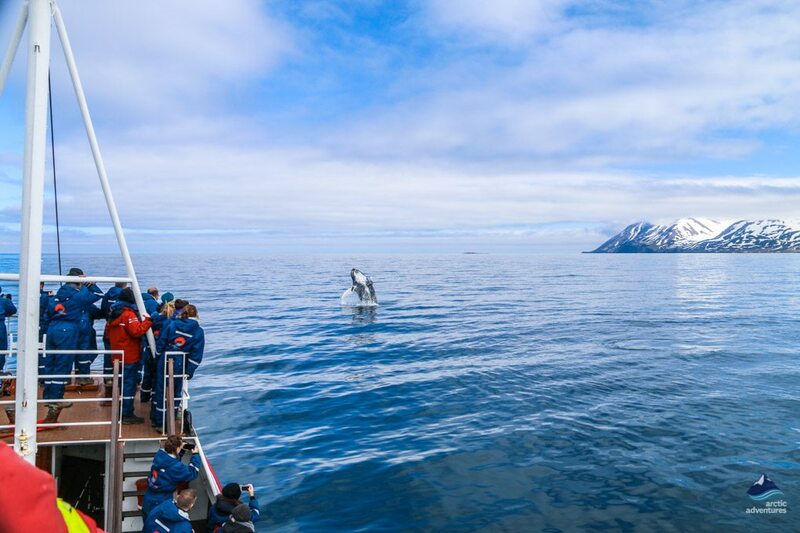 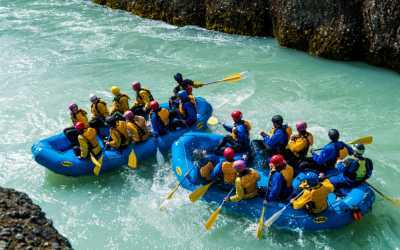 This tour has different starting times depending on day and season with four departures a day in June, July and August. 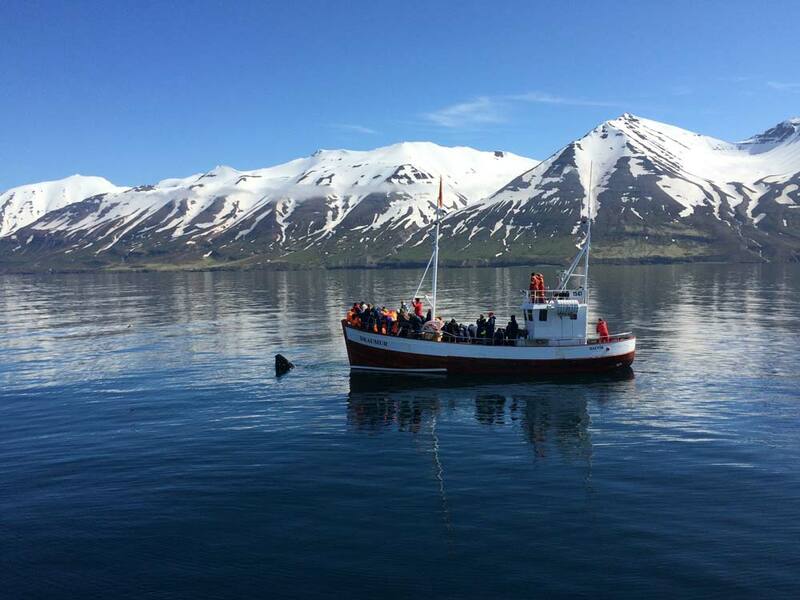 Address: Hafnarbraut 22, 620 Dalvik. 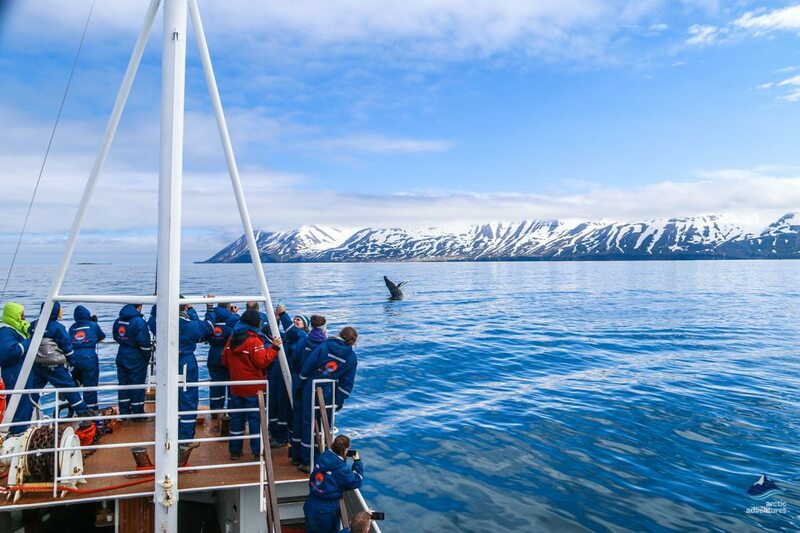 What to bring with you: Warm clothes (hats and gloves) and a sense of wonder and adventure.